An offensive depiction of Jesus? Interesting problem with one of the icons in a Catholic church in Oklahoma. 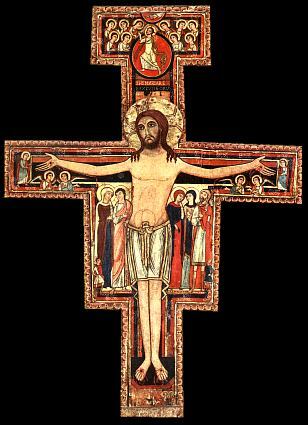 Their main crucifix is in the style of a San Damiano cross, which depicts Christ with a distended stomach. In this instance, a bunch of people are seeing a huge erection instead. Some have even left the church over it. The poor artist, an orthodox Catholic, sounds really torn up about it, and will alter the icon. According to a fellow artist, sounds like it’s a problem of contrast when the art is viewed from a ways back – something which would have been very difficult to see upon painting it up close. 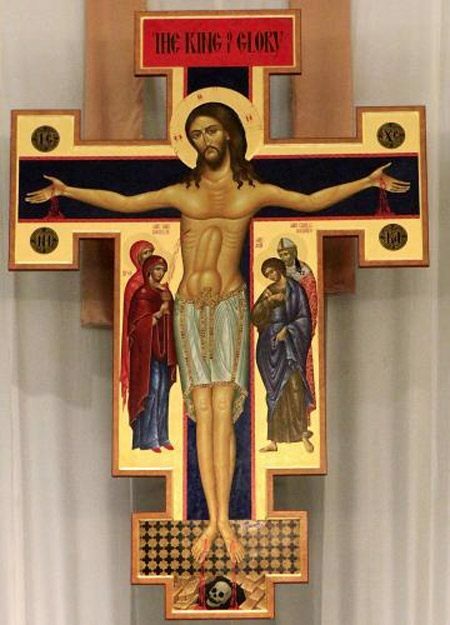 Regardless: does it seem crazy to anyone else that many are more easily offended by the notion of Jesus having an erection than of Jesus’ death by crucifixion?